The Aberdeen City and Shire Strategic Development Planning Authority (SDPA) has sought leave to appeal the decision of the Court of Session in the case brought by Elsick Development Company in relation to the Authority's Strategic Transport Fund (STF). The STF is designed to facilitate development in and around Aberdeen by setting out a mechanism whereby infrastructure can be provided to address the cumulative impact of significant levels of growth. The principle of the STF is established in the Aberdeen City and Shire Strategic Development Plan (2014), with statutory supplementary guidance adopted in June 2015. SDPA Chair, Councillor Peter Argyle, commenting on the decision said: "I was disappointed that the Court of Session found against the Strategic Transport Fund. The outcome has however raised a number of important issues. After discussion last week, the SDPA considered it appropriate to seek leave to appeal to the Supreme Court." The Aberdeen City and Shire Strategic Development Planning Authority is one of four SDPAs in Scotland, covering the four largest city regions (Aberdeen, Dundee, Edinburgh and Glasgow). It was formed in 2008 under the Planning etc (Scotland) Act 2006. It is responsible for preparing and maintaining a strategic development plan for the area â€“ guiding the development of the city region over a 20-25 year timeframe. The Aberdeen City and Shire Strategic Development Plan was approved by Scottish Ministers in March 2014. The Strategic Transport Fund has been in operation since March 2012, securing contributions from development in Aberdeen City and parts of Aberdeenshire to deliver transport projects made necessary by the scale of new development planned for the area. 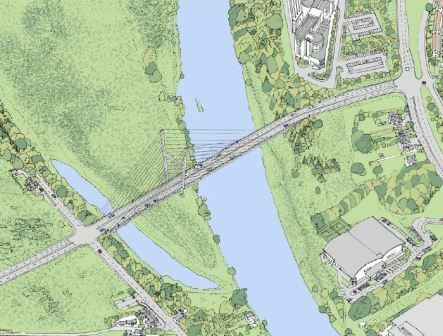 Projects include the new station at Kintore (planned to be operational in 2019) and a new bridge over the River Dee. The Strategic Transport Fund won the 'Most Innovative Transport Project of the Year' at the Scottish Transport Awards in 2013. Elsick Development Company Ltd and Goodgrun Ltd challenged the adoption of supplementary guidance by the SDPA at the Court of Session under s238 of the Town and Country Planning (Scotland) Act 1997, leading to the court's judgement in late April sustaining the appeal.